Vertical Dance workshop for dancers, actors and performers led by Wanda Moretti/Il Posto Company. The workshop will culminate in a vertical dance performance with the workshop participants on 18 May 2017, within the programme of In\Visible Cities – Urban Multimedia Festival. SHIFTING PLACES is a workhsop within the vertical city, within the possibility of feeling completely immersed in the world and slightly moving it. 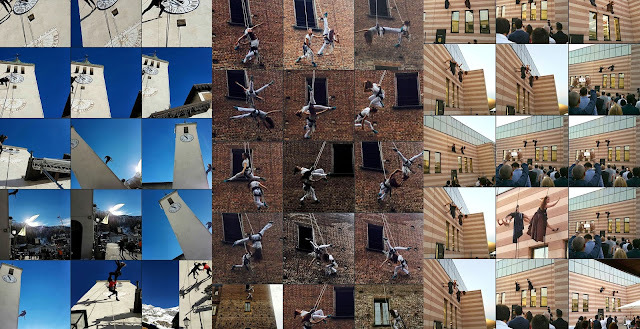 Vertical dance offers us the freedom of dancing everywhere and gives back a testimony of a vision of the cities as an accessible and completely open space. SHIFTING PLACES is an artistic practice that merges itself in the landscape, which uses the body as a communication tool, realising a performance in view of constructing temporary communities. SHIFTING PLACES is a vertical practices’ workshop that, starting from the observation of the so called “migrant spaces” ie the spaces that constantly change in the cities, aims to reestablish the primary bonds between space and the community of its inhabitants. We will then explore the ideas of territory and the spaces in which we feel more strongly connected so that we can give all this back in an artistic form. Il Posto is the first Italian company specialising in site-specific performances on vertical places. It was founded in 1994 by choreographer Wanda Moretti and musician Marco Castelli with the aim of creating performances on vertical spaces combining dance, architecture and music, mixing the dramaturgy of the show with the performing spaces, thus creating new ideas and interactions. 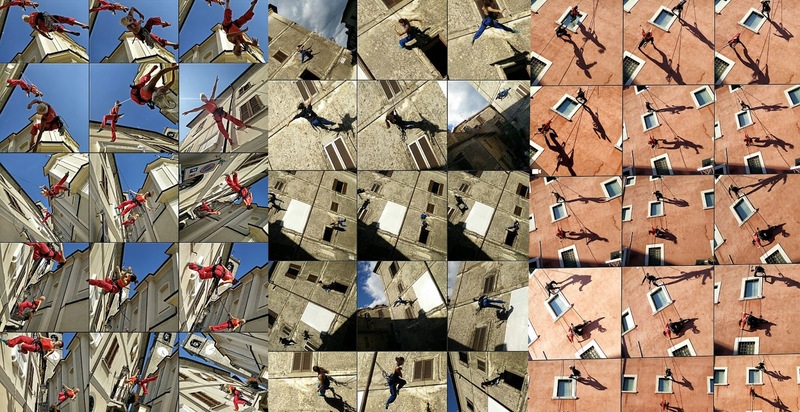 Wanda Moretti is a choreographer and researcher who, in 1990, was the first dancer in Italy to experiment vertical dance, creating performances in which space and movement fuse together in an unique vision. The workshop is aimed at dancers, actors and performers. There is not a strictly specific requirement to the participants, but it is advisable that the attendees have previously undergone a good body and movement training. Piazza Vittoria in Gorizia and its surrounding areas. indicating: the name of the workshop, your name and surname, date and place of birth, place of your residency, enclosing your CV or your CV notes.